Am I the only person that believes vinegar is an absolute miracle worker? What else can you use to clean your home, cook and preserve food, use as a weed killer, wash your hair and even drink for health benefits? I could go on, and I probably will in a future post dedicated entirely to my fascination for vinegar. 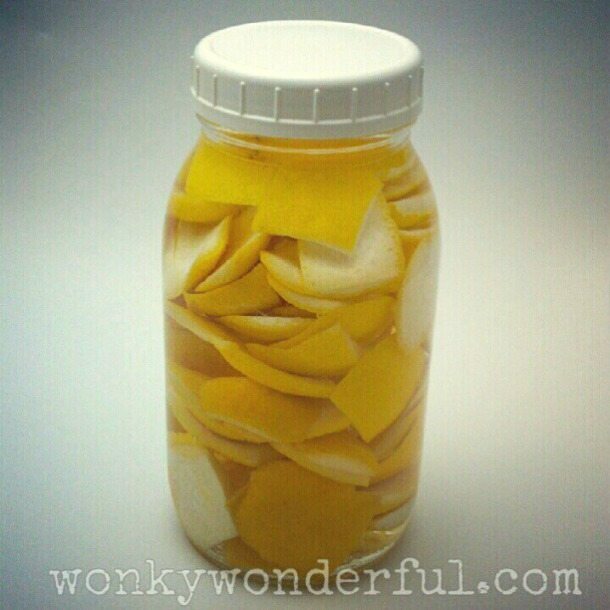 But now it is time to make our lemon vinegar cleaner. After making Fresh Squeezed Lemonade, I was left with a pile of lemons. 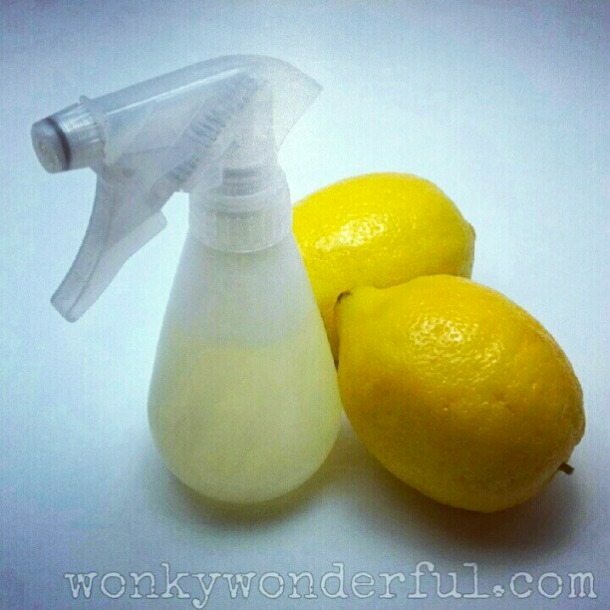 Not wanting to let all of that lemon goodness go to waste I decided to make a citrus scented vinegar cleaning solution. I spend a good bit of time on Pinterest and was inspired by the orange vinegar cleaners that are all the rage right now. First slice the peels off of the lemons. Next cram them into a mason jar or left over pickle jar, whatever type of jar you happen to have handy. Then pour white vinegar into the jar and seal it up. Put it somewhere and forget about it for 2-3 weeks. Finally, strain the lemons out of the vinegar. 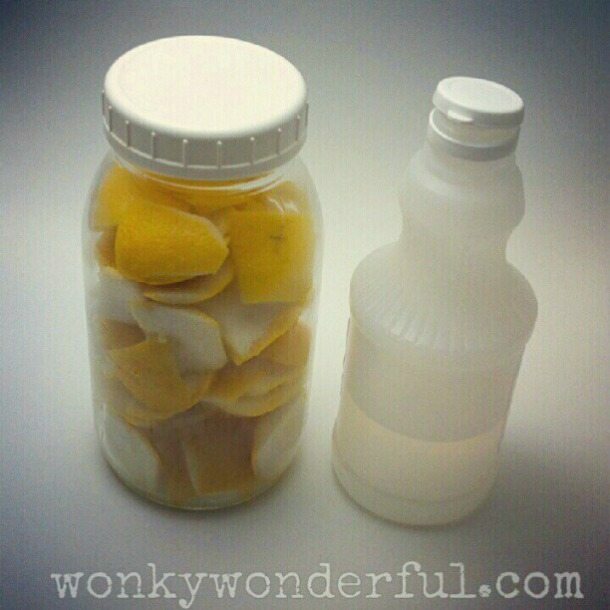 Dilute the lemon vinegar with water, I prefer a 50/50 mixture. Pour the combination into a spray bottle and get to cleaning. Not only do you now have a fragrant cleaning solution, but it is non-toxic as well. What do the peels contribute? Is it only for a pleasant smell?